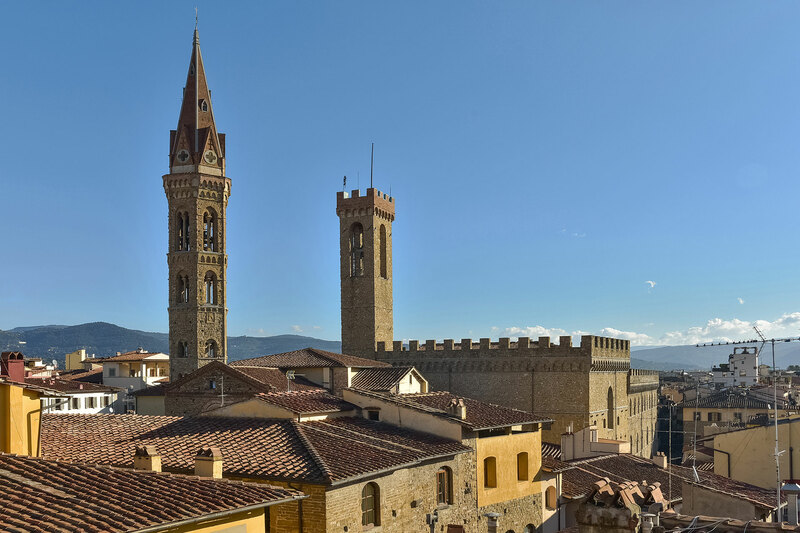 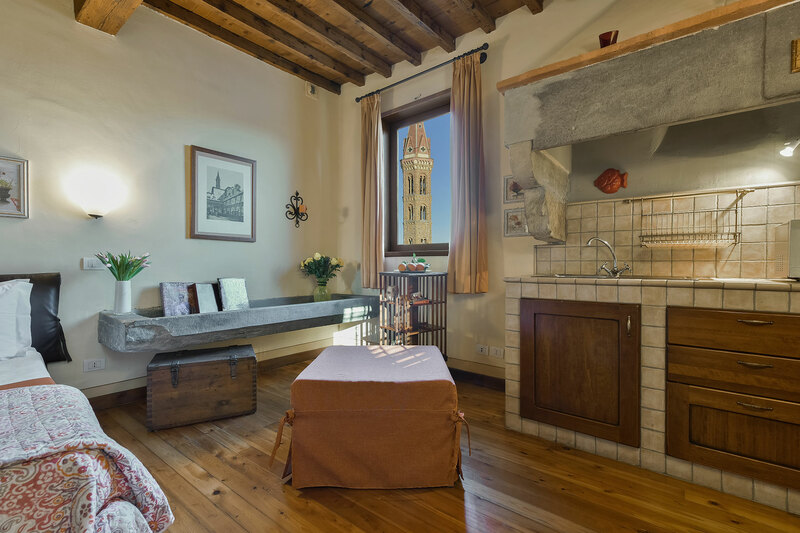 If you fancy a loft with a beautiful view, silent and rich charme, we’ll be waiting for you at Atmosfera! 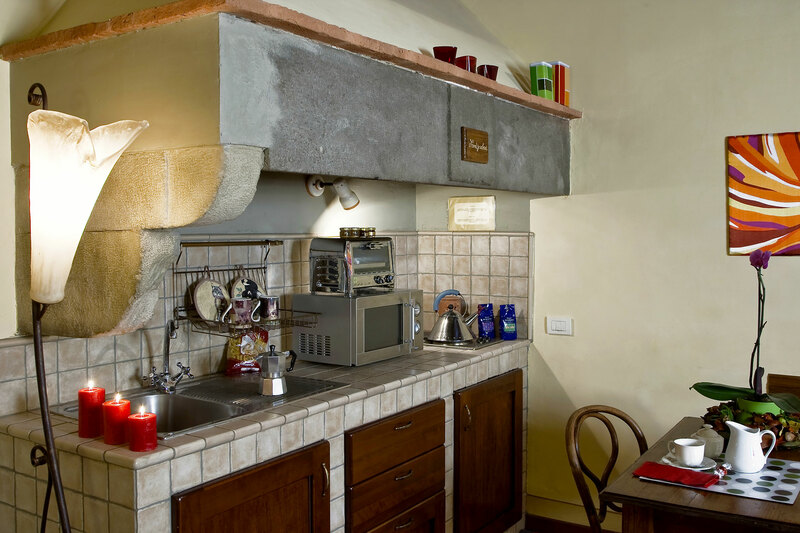 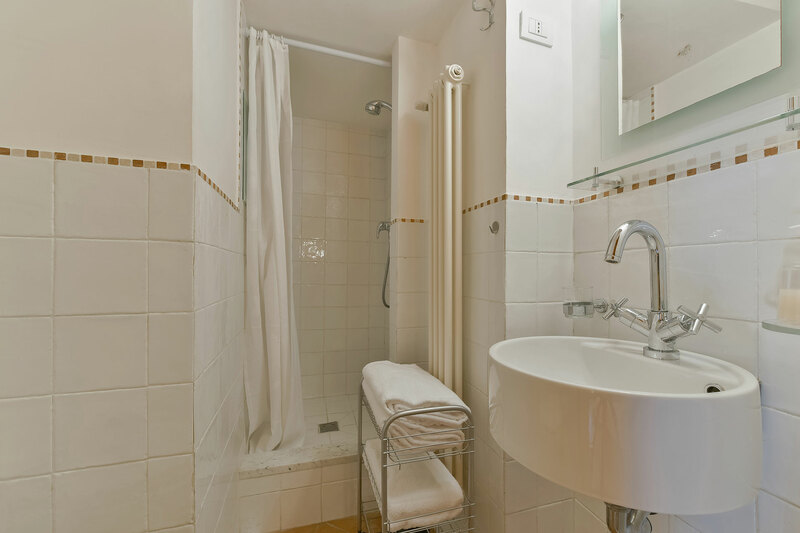 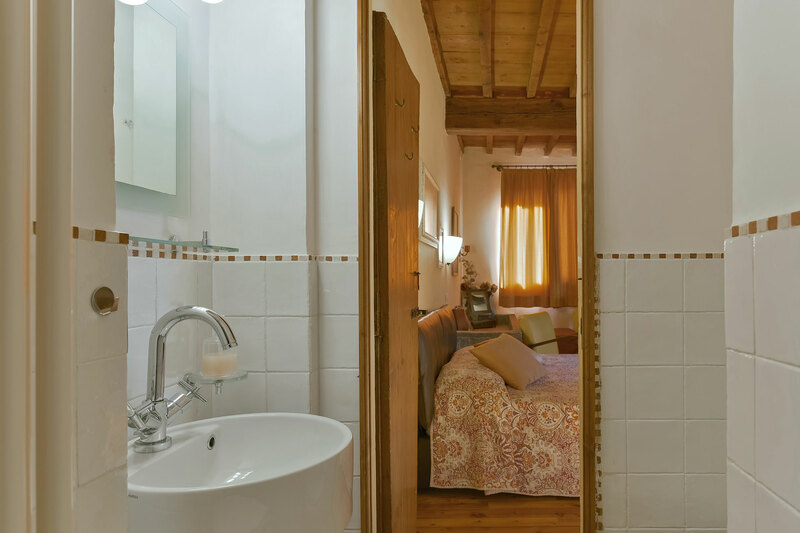 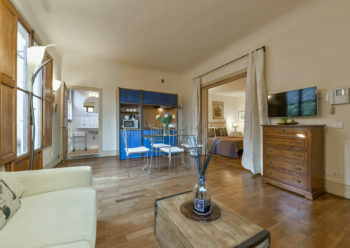 Situated at the 4th floor with lift, this is a studio flat consisting of a big living area with a characteristic kitchen area made of pietra serena and a big fireplace. 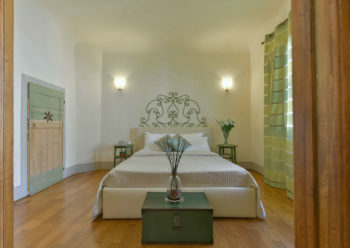 Here, in addition to kitchen and living area, there are a comfortable king size bed (160cm) and bathroom with shower. 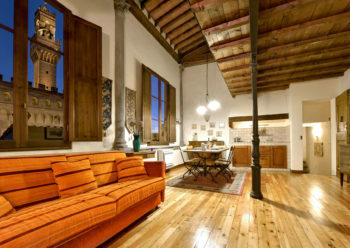 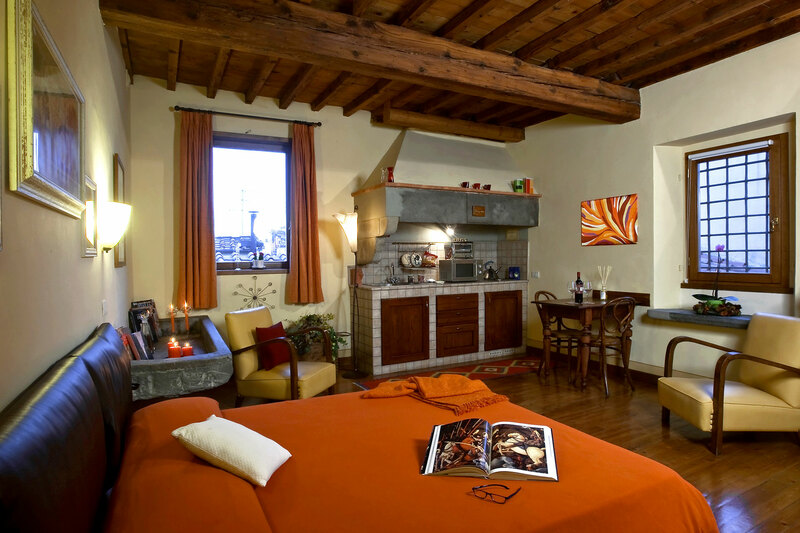 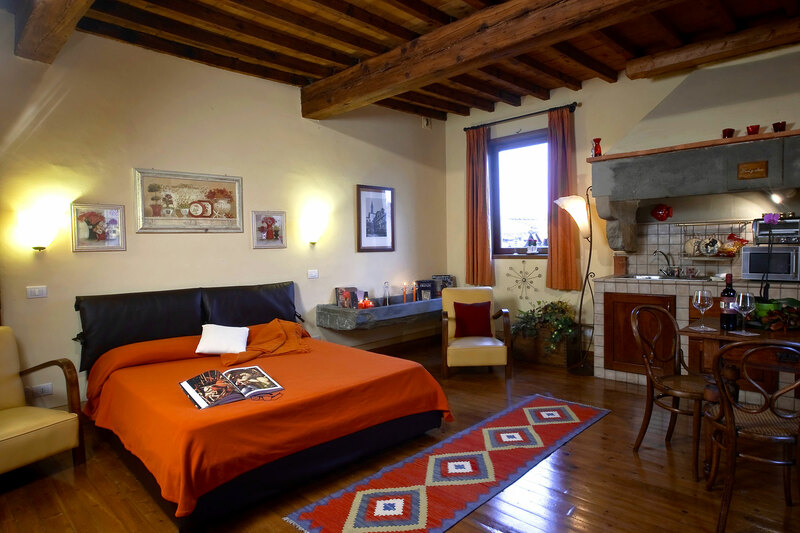 The room is very bright and panoramic, with a magnificent parquet and beams at sight.